﻿ What Kind of Finishing Is Right for Your Floor? What Kind of Finishing Is Right for Your Floor? You may have installed a new floor or feel that it needs to be refinished. Perhaps you find that there are some patches in the finishing and it is getting worn or maybe you are slipping and sliding more than you expected. When calling in professionals to take on the complex task of hardwood refinishing in Markham, you may wonder what kind of finishing is right for your floor. There is no clear answer without looking at your floor and taking your tastes into account, and that is where professionals can guide you to make the right decision for your floors. Water-based finishing gives a lighter feel than other varieties and lets the natural beauty of the wood shine through. It provides a natural look with a yellowish tint and dries quickly. Water-based finishing does not have a strong odor and is milky when applied, but dries to a clear finish. This type of material requires several of layers to provide a protective coating, but it is quick and easy to apply and has a transparent, clean look. Oil-based finishing has an amber tint and gives your floors a rich glow. 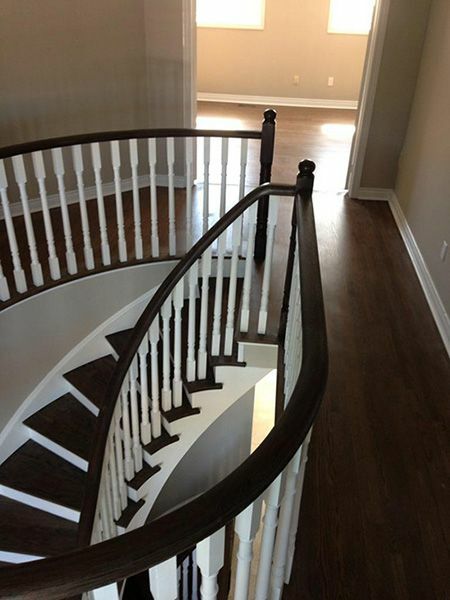 It is a traditional choice for hardwood refinishing in Markham. The process of applying oil-based finishing can be lengthy, as it takes longer to dry than water-based material and can have a strong odor when applied, but the odor disappears after a few hours. There is no need to apply more than two coats if you are using oil-based finishing on your floors. The choice of which type of finishing to choose depends on the look you want and how heavy the coating should be. You can restore your floor to its former beauty or protect it from scratches and wear and tear using either material. Talk to experts in hardwood finishing in Markham to get an idea of which kind of material is the best choice for your floor.